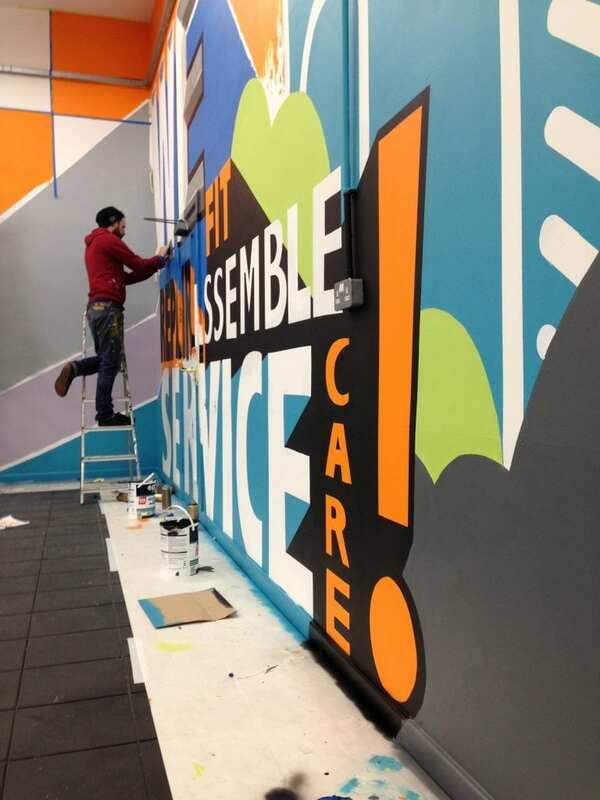 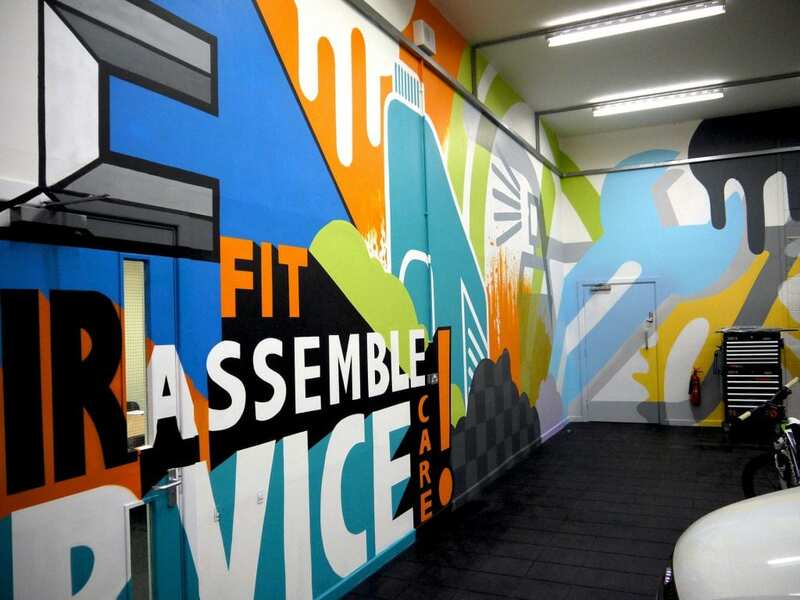 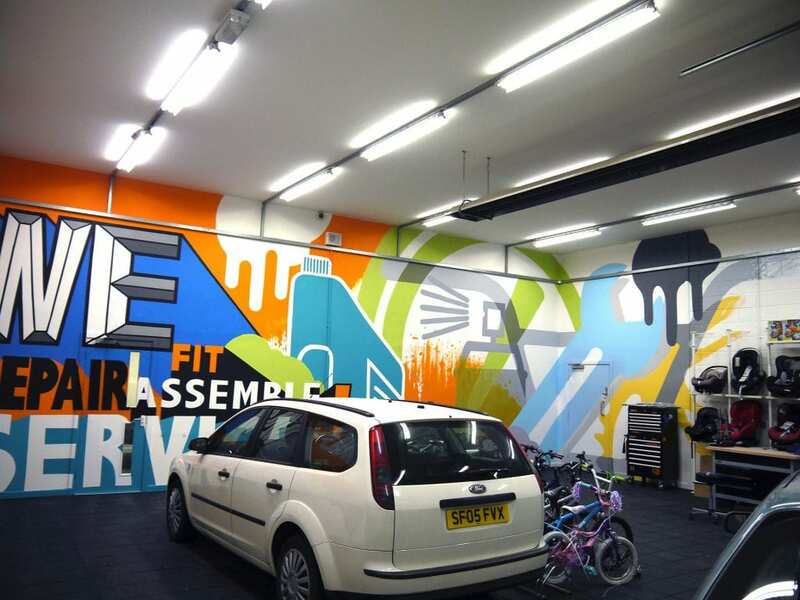 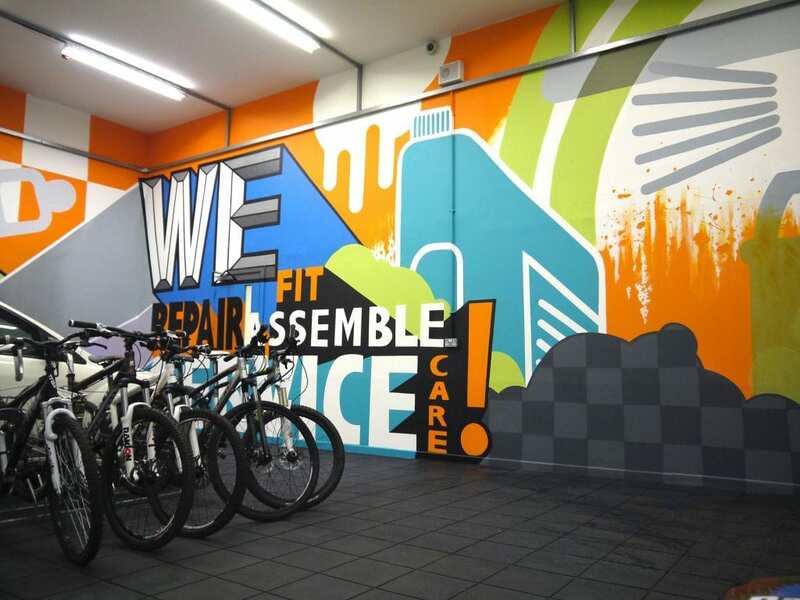 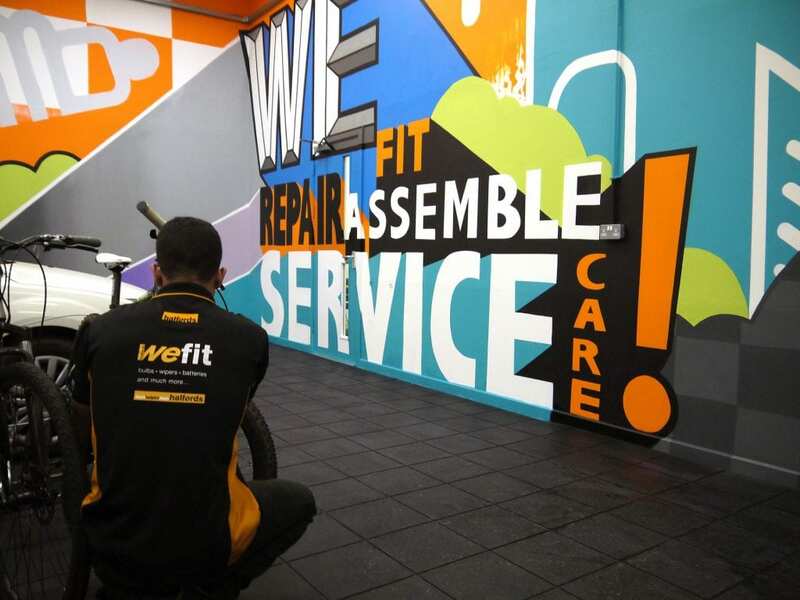 UK national retailer Halfords commissioned Soulful Creative to create an engaging and energising mural for their new national training centre in Sheffield. 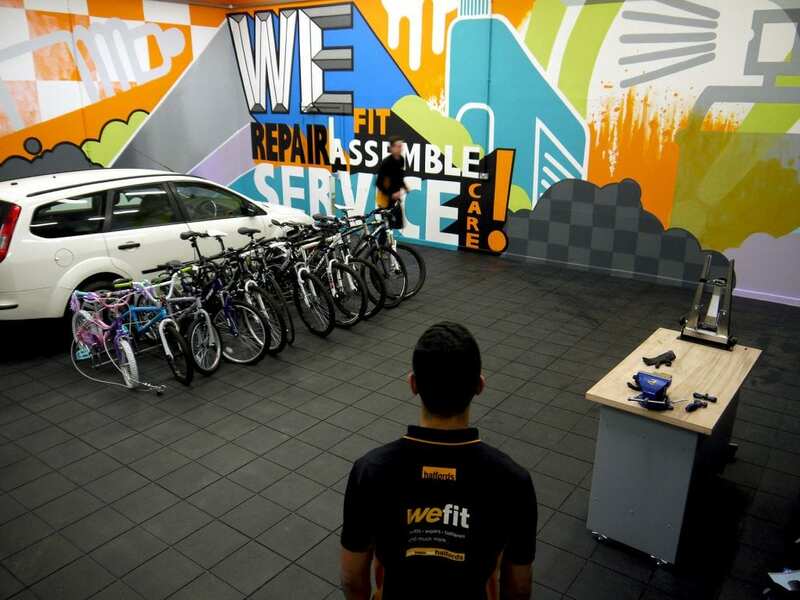 This needed to be a vibrant space, one in which young staff could be inspired when going through their product, service and customer training. 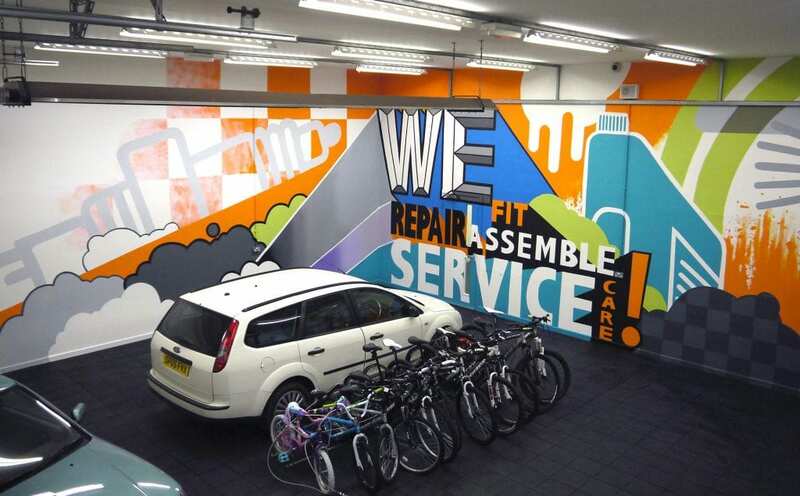 The training centre is at the heart of Halford’s drive to improve their customers’ overall retail experience. We worked the design around the theme of the company’s strap-line, service offerings and corporate colour palette. 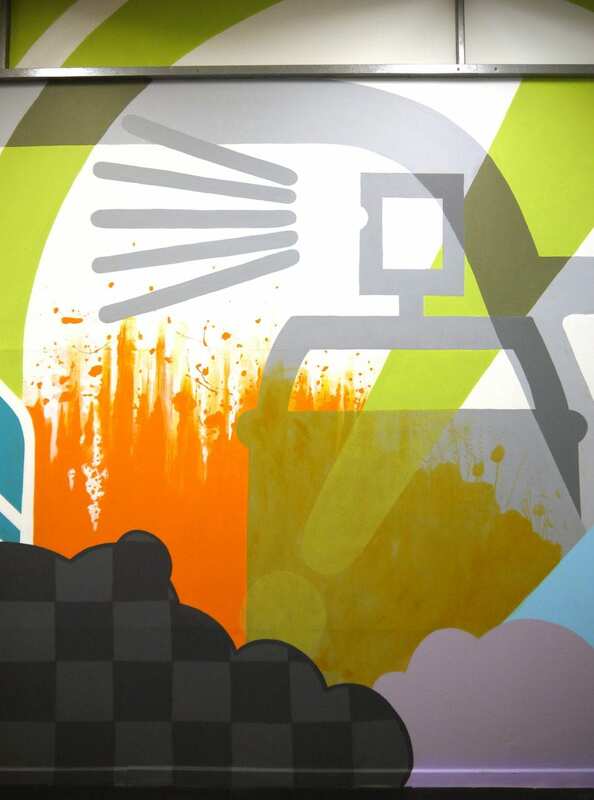 Oversized icons and words were hand-painted using emulsion paint, with transparent effects in a few places to add texture.